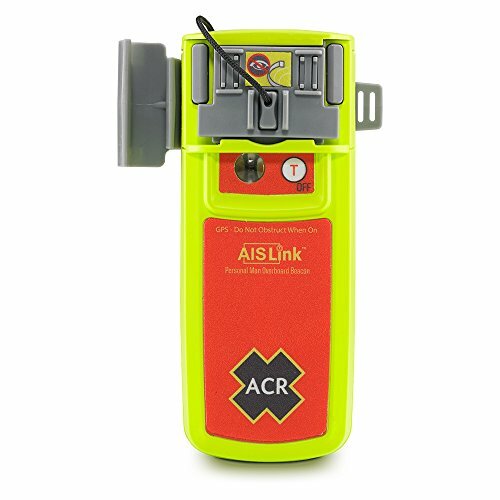 AIS Link MOB, GPS DSC AIS Beacon. MFG# 23886. The AIS Link transmits an alert message within seconds to all local vessels with an AIS receiver and/or AIS-enabled plotter. The DSC alarm on a AIS Link MOB, GPS DSC AIS Beacon, MFG# 2886. transmits an alert message within seconds to all local vessels with an AIS receiver and/or AIS-enabled plotter. The DSC alarm on a ACR MOB, GPS DSC AIS Beacon. MFG# 2886. transmits an alert message within seconds to all local vessels with an AIS receiver and/or AIS-enabled plotter. The DSC alarm on a vessel's VHF can also be signaled. Integrated high-intensity strobe.